This is a tiny map with a flat theme (I reconstructed my flat). 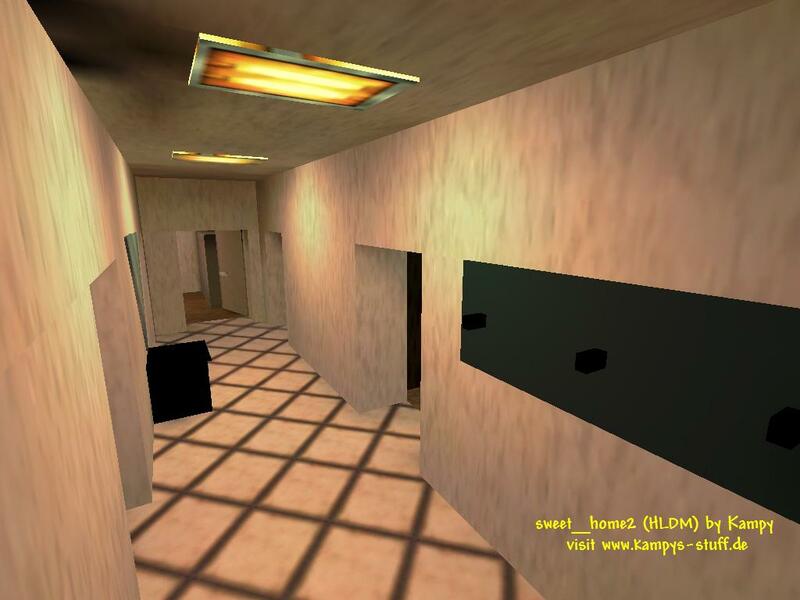 This was one of my first maps (sweet_home1 was my second map, but it was total crap, kinda mega huge rooms and stuff), but this was my first big success. The croud loved this map and played it everyday. There are still some stupid newbie errors like not using glass where you can look through or lights which come out of big emergency light prefabs (in a flat lol), but the gameplay or should i say the carnage of this map rulez. There are five rooms connected by one corridor. There is a bathroom, a living room, a kitchen, my parents room and my room. 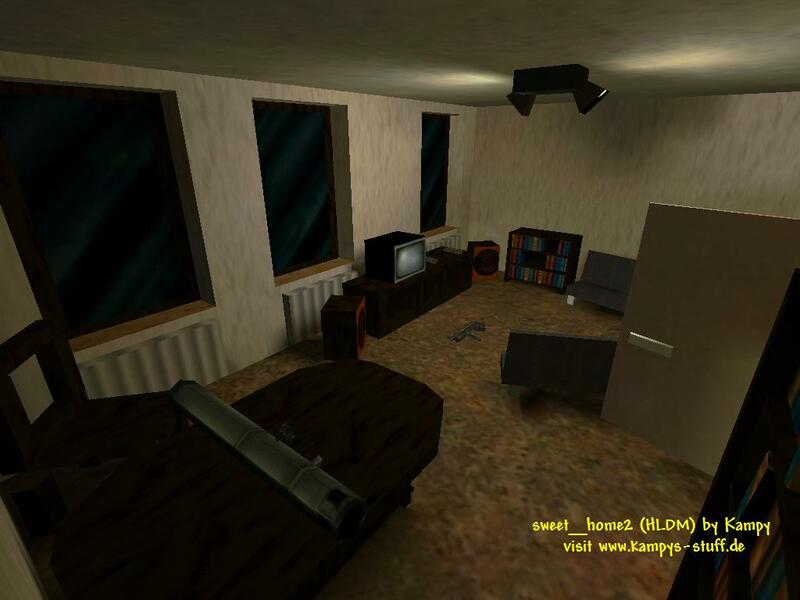 The item and weapon placement is fatal - there are all weapons in sweet_home2 except for the glueon and imagine someone using the bazooka in this small flat :-) There is absolutely no chance of surviving in this map with three people and you really gotta have a huge skill difference to survive it with two. All weapons are used, cause in every room there is another weapon and you just take the one of the room in which you start. I think the map is lots of fun and if you like tiny hectic maps this is the right map for you, but (!) 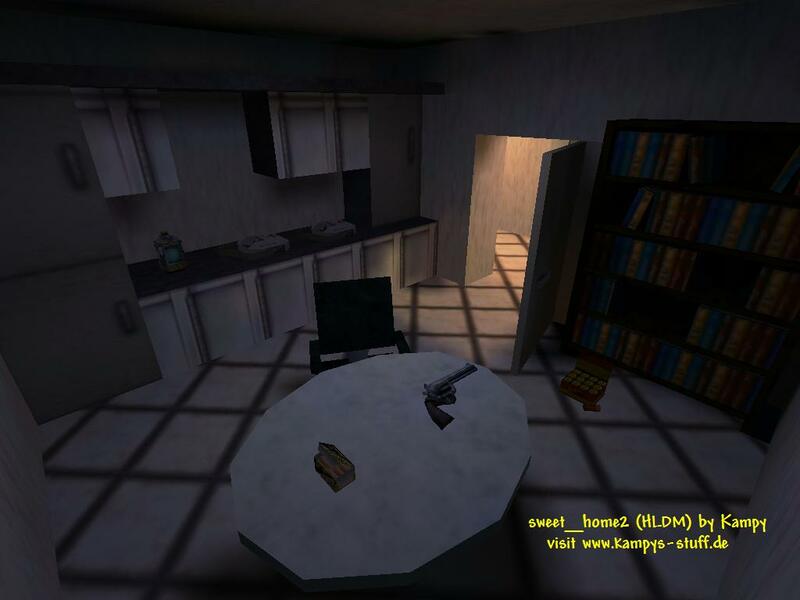 I strongly recommend to download "sweet_home3" which is the same map basically just the grafic is immensly improved. - if someone uses the crossbow next to the bed and you are on the other side either use the bazooka or the machine gun grenades and shoot at the position straving from the kitchen to the living room or the other way round. - I strongly recommend you download Sweet_home3 (!) which is a remake of this one, the difference is grafic improvement only!